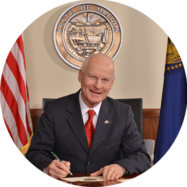 SALEM, OR — Today, Secretary of State Dennis Richardson is announcing the following upcoming election deadlines for next week. Last day to file or withdraw candidate statements or ballot measure arguments for the state Voters' Pamphlet. Statements must be filed or withdrawn electronically using ORESTAR. Last day for nonaffiliated or minor political party candidates to file certificate of nomination. Last day for candidates for local or district offices to file a declaration of candidacy or nominating petition. Last day for candidates who file for candidacy with county clerks to file county Voters' Pamphlet statement. Election deadlines are also posted and maintained on the Secretary of State Elections Division website and in the elections manuals, also found on the website. For questions, please call the Elections Division at 503-986-1518.